FDI provides innovative tooling and solutions to enable customers to take content from legacy mainframe-based applications with IMS/IDMS/VSAM-based storage structures and access it using web-based applications. 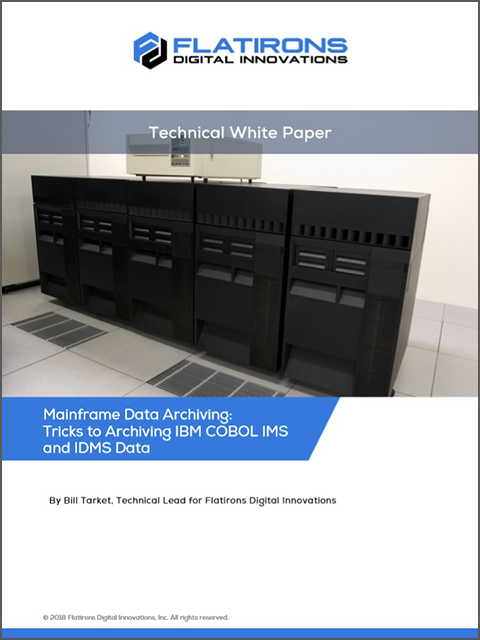 This white paper describes how we decommissioned two mainframe systems for a client. Both were in-house, custom-built applications that had been in use for more than 30 years. Our challenge was to archive the data into a format that our customer could confidently access for the next 30 years. Our advice to organizations with aging mainframe applications is to move forward aggressively with archiving their data, before archiving challenges become too big. © 2019 Flatirons Digital Innovations, Inc.